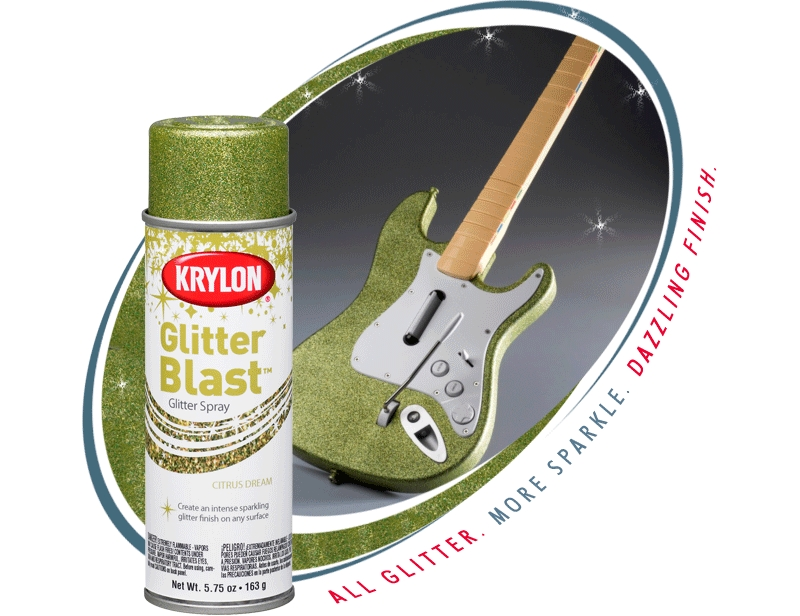 Add some sparkle to your act with a glammed out guitar. Cycle safely and in style with this outdoor spray paint project. 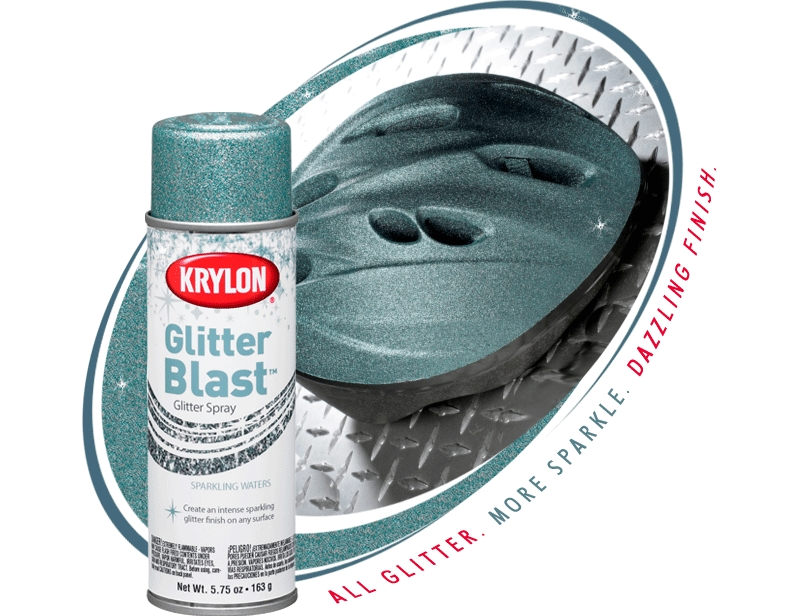 Transform any ordinary bike helmet with Krylon® Glitter Blast™ spray paint. Dream in style with this fun, sparkly wall art project. 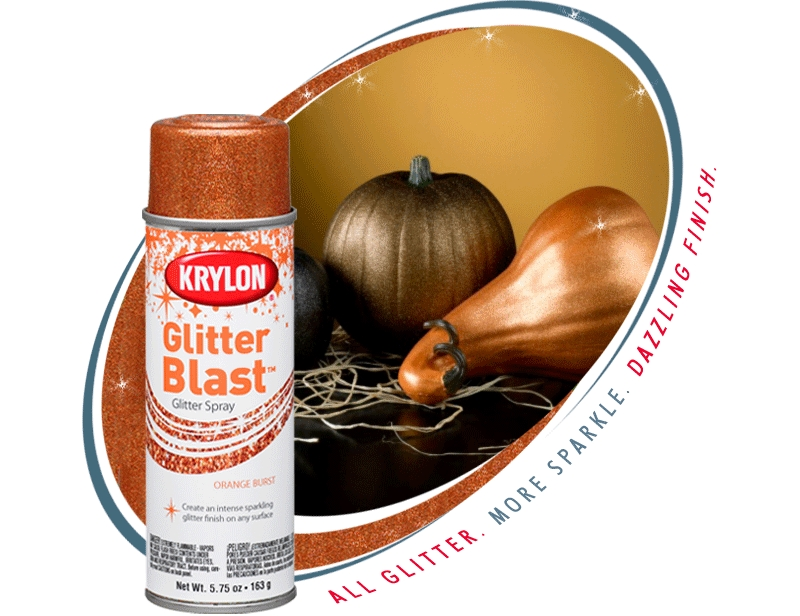 Your seasonal décor will be given elegant flair with pumpkins that sparkle with Krylon® Glitter Blast Glitter Spray. All that glitters is not just gold. It could be Posh Pink, Diamond Dust, Orange Burst, Twilight Sky, or Citrus Dream. With 16 amazing color choices, and more sparkle, glitter and coverage than you’ll find anywhere else, Glitter Blast™ adds color depth and a 3-D appearance to your glitter spray projects. All Glitter. More Sparkle. Dazzling Finish. 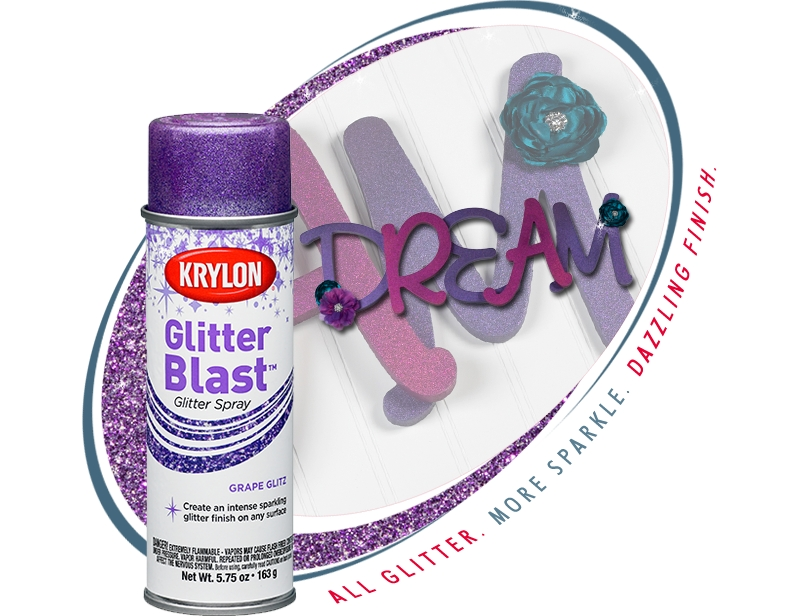 View Krylon® Glitter Blast™ Glitter Spray product details now.